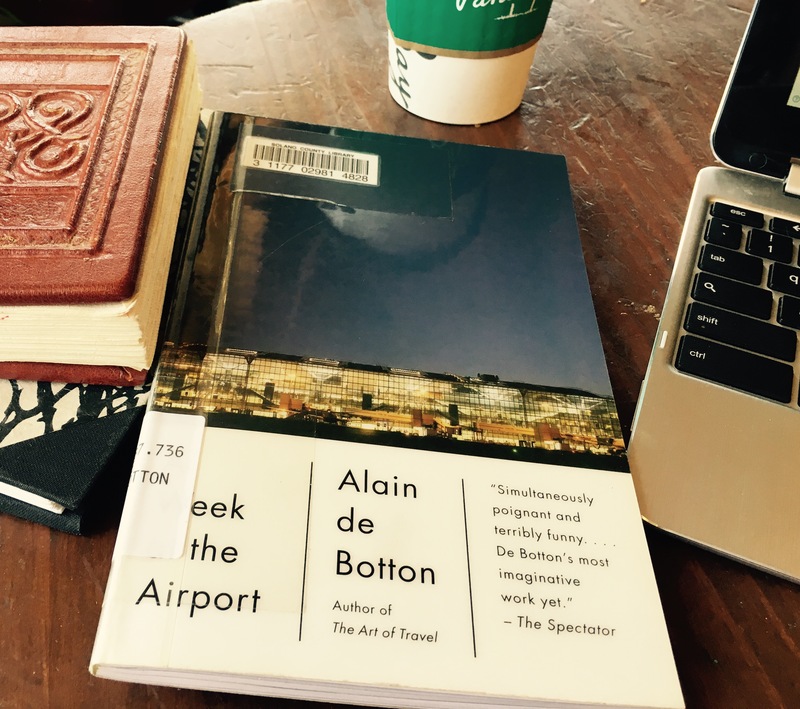 In the summer of 2009, the people in charge of London’s Heathrow Airport hired writer Alain de Botton to spend a week observing life at the airport for the purpose of writing a book based on his impressions. I do think it was an interesting idea. 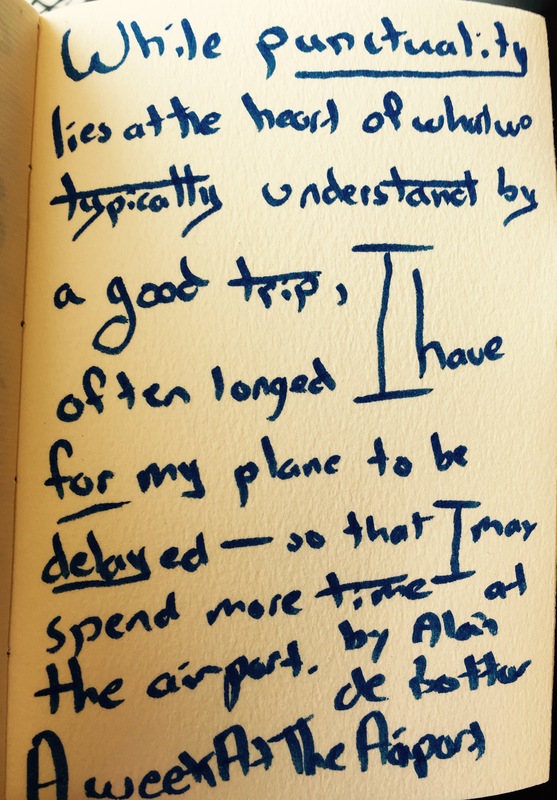 Mr. de Botton was required to spend the entire week on the airport grounds. He lived in a hotel owned by the airport, spent his time wandering around one of the newer terminals, and had a desk in a public area where he worked. Since his desk was out in the open, it became a confessional of sorts, a place where both airport employees and passengers would stop by, stay for a while, tell their life stories, the way people do at airports if you get the chance to talk to them. It should have made for a more interesting read. Mr. de Botton is not practicing journalism here, not even the sort of journalism David Foster Wallace practiced in his much more interesting work A Supposedly Fun Thing I’ll Never Do Again which was about his experience on a Caribbean cruise. You won’t find any facts and figures in A Week at the Airport, nor will you find footnoted information about air travel. Instead, Mr. de Botton was hired to write a more impressionistic portrait of his experiences basically living in Terminal 5. The trouble is, most readers already have this same impression. Most readers have spent time in an airport. We knew what it’s like–at least what it’s like on the surface. 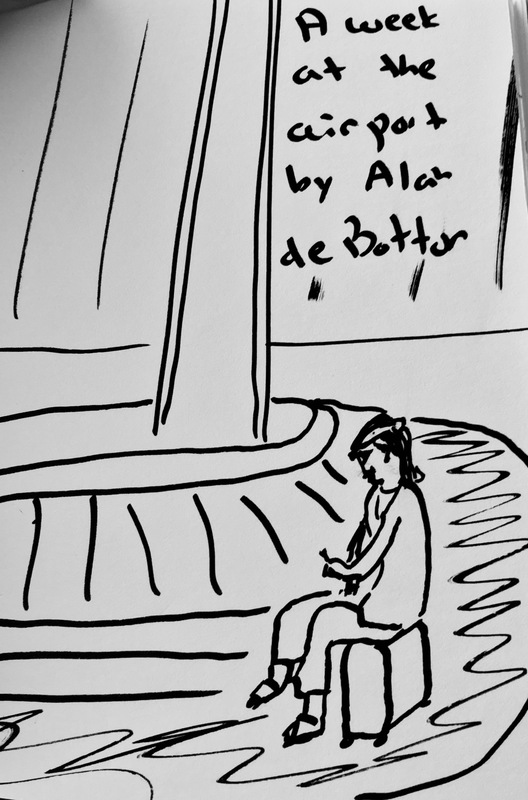 Since Mr. de Botton does talk to a few employees he gets a bit under the surface, but just a bit. He’s not practicing journalism, remember. The best part of his book, the part you can skip to if you’re in a hurry or your plane is about to arrive, is the final one focused on arrivals. Though most of the magic of arriving at an airport is gone now, there is still enough left to make this part of the book kind of moving. Okay, I admit it, Mr. de Botton had me near tears a couple of times. Before air travel all went wrong, arriving at the airport was kind of a big deal. I can remember standing next to the gate with my mother and father waiting for my grandparents to come through the door. Crowds of people stood round us pressed against the ropes watching the door, hoping the next person through would be the one they were waiting for. Just a little bit unsure that they really would. Air travel in the 1970’s was still rare enough that my family dressed up for it. We were not alone in that. The doors would open; people would begin to arrive. It was not unusual for someones hug to hold up everyone else who was trying to exit the plane. Being on the plane was nearly as dramatic an experience, scanning the crowd looking for someone you were hoping to see. And that was just for a domestic flight from St. Louis to San Diego. I flew into Heathrow once many years ago. Because mine was an international flight there was still some of this arrival scene left as people waited for loved ones to exit through customs. There’s still something of a door where people can waiting holding signs and balloons, but it’s not same as having people greet you moments after you first touch the ground. Mr. de Botton doesn’t do much with these arrival scenes, much more than present them as they are. 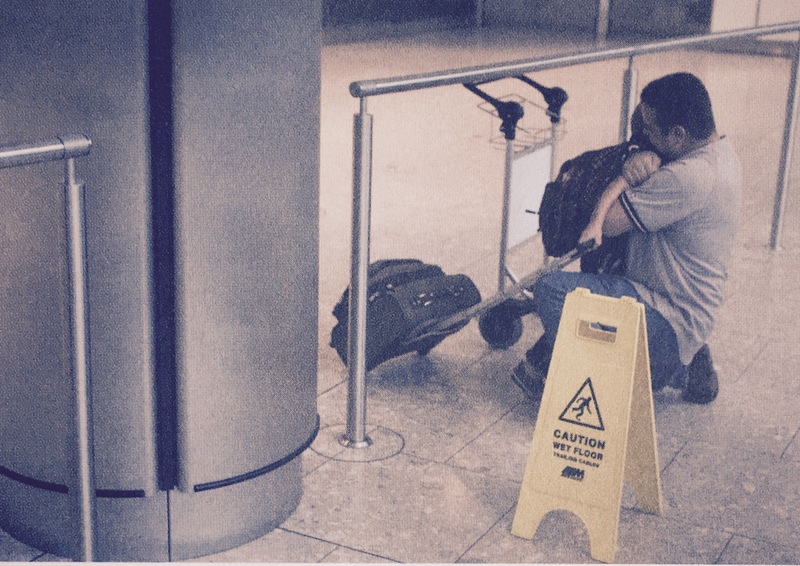 A little boy dragging a suitcase arrives, his father grabs him into a deep hug. I’m such a sap these days. The photographs in the book, one on every page are by Richard Baker. While they are good and having one on each page helps stretch things into a full-length book, I felt the end of it all that they just served to help underline how mundane the whole thing was. Turns out a week at the airport just isn’t all that special. You’re better off taking a cruise. there’s a tv fly on the wall series that’s been showing in UK for the last few weeks called City in the Sky. It’s meant to show us how astonishing airports can be and what goes on behind the scenes. It’s utterly utterly DULL for most of the reasons you say this book is – air travel is no longer as special and with all the security etc its actually tedious.